Did you know that social media marketing has a much higher lead-to-close rate than outbound marketing? Or that most of B2B marketers use social media in some form? No matter what you sell and who you sell it to, using social media as a marketing tool can help you grow your brand and your business. By not having an active social media presence is kind of like lugging out a flip phone at a business meeting and then not understanding why your boss keeps giving others all the new accounts. Social media posts can be used to attract precise targeted traffic. Making a new page on your site is like taking a truly great selfie. You want the world to see it and bask in its brilliance, but you don’t want to plead for attention (or worse, pay for it). That’s why for selfies and landing pages, well-placed social media posts can make all the difference. We’ve seen a single link on Facebook drive over 20,000 visitors in one weekend and videos submitted to YouTube can take a page that was regularly earning only a handful of visitors a day and increase that number to hundreds. Who wouldn’t want to take advantage of that? Using social media for business increases your site’s SEO. Search engine crawlers identify which pages are consistently earning traffic and which are just floating out there, forgotten or overlooked. A killer content strategy for SEO is the most essential part of earning top spots in search engine rankings, but driving traffic to your optimized web pages will cause them to climb much faster in the search engine results pages (SERPs). If you’re doing it right, social media will lead to real relationship building. Part of what makes things like Twitter and Instagram marketing so cool is the contact you get to have with your customer base — you can read their tweets and status updates to get insights into their daily lives (and maybe adjust your marketing strategy as a result). What products are they buying and why? What are they doing on the weekend? What kind of posts do they love to share, and from what websites? You can also use social media as a tool for connecting with complementary, non-competing businesses, thought leaders in your space, as well as journalists who cover your industry. Users are open to your messages. 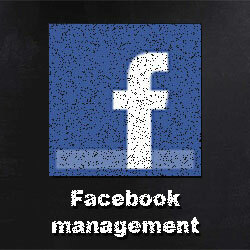 People view Twitter and Facebook as social networks, not marketing machines. As a result, they’re less likely to see what you post as an advertisement and will be more likely to hear what you have to say. This results in serious web traffic when you link to your site and posts that market themselves as your friends and followers share what you’ve posted. 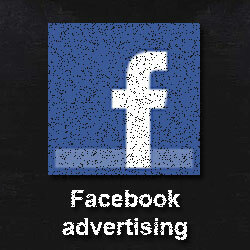 Social media ads allow targeting and re-targeting. One of the reasons social media is important is because of the highly customizable nature of social media ads. Facebook ads, for example, allow you to target users by things like location, education level, industry and even purchase history and the pages they’ve liked. You also have to the option to install a Facebook pixel on your site and use it to retarget the users who visit you — these people are far more likely to convert into solid leads and sales! Are you ready to hurtle ahead of your competitors? Want to see your search engine rankings climb and your traffic soar? Pull out that flip phone and contact us. We’ll get you on the path to success. Social media marketing can help you to grow your audience and customer base in a vivid way. If you are new to social media marketing getting started be challenging. It’s important that you know social media marketing fundamentals. These 10 laws will help build a foundation that will serve your customers, your brand and — perhaps most importantly — your bottom line.